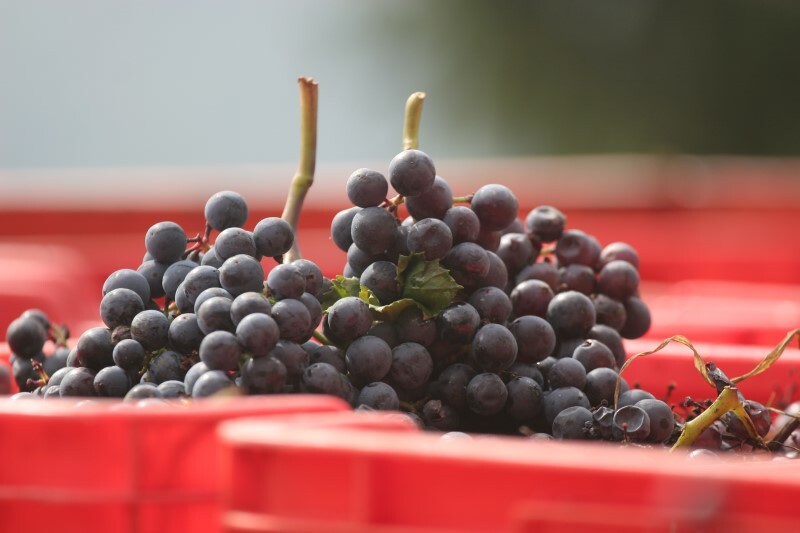 Dolcetto is among the most typical Piedmontese native grapes grown in varying degrees and is a bit 'anywhere in Piedmont, but its perfect is the Langa. For centuries, this vine variety black berry has shared the fortunes and the miseries of the people of the country. While not a particularly vigorous plant or resistant to the difficulties and diseases, in fact, Dolcetto has always been able to offer growers the fruits sweet and ripe for the table, also suitable to produce a special jam (the Cognà) and, above all, the matter first for a wine with character frank and simple. Historically, Dolcetto was the bargaining chip with Liguria: from the coastal region you approvigionava oil, salt and anchovies, basic ingredients of one of the most famous dishes of the Southern Piedmont, the "Bagna Caoda", while in the Cuneo is bartered l 'Dolcetto with calves kept in plain, so as to have in the stables of the hill-bred animals. 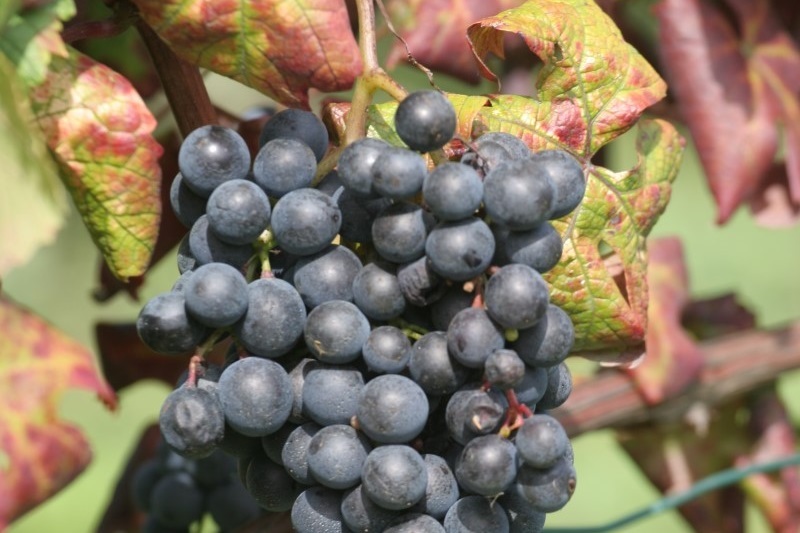 The name of the grape comes from the particular sweetness of grape pulp, but the wines made from it are exclusively dry and very dry, characterized by a moderate acidity and a pleasant bitter aftertaste. Depending on the area of cultivation and the type of wine, Dolcetto gives rise to fresh and drinkable wines that accompany the daily table thanks to their softness, freshness of taste and ability to adapt to many different foods. The trick has always been widely used to produce wines for everyday consumption, and is therefore part of the culture of the Langhe, its natural home and native. This its wide use is favored both by the quality of the wines it produces, both by his precocity, which allows him to divide the territory with the opulent Nebbiolo, without hindering and intersect the two productions, thus preventing farmers choosing, and if cultivate one or the other variety. Compared to its noble neighbor fact, Dolcetto mature even with four weeks in advance, and then can leave the best locations and most exposed to the sun, the higher ones, to his aristocratic companion Langhe, that late maturing instead, has more need sun. This facilitates its maturation has meant that Dolcetto were grown in areas less exposed. In the area of Barolo and Barbaresco for example, Dolcetto is not cultivated on areas exposed to the south, leaving the place to the cultivation of the noble Nebbiolo. Only in areas too high for the Nebbiolo, Dolcetto takes its place. Ovada and Alba for example is grown in areas where other varieties would have great difficulty ripening. The farmers of the area claim that Dolcetto prefers areas with white marl that are on the right bank of the Tanaro, and suffers under heavy soils and rich. DOC was the first recognition of 1972, which was followed by 3 DOCG and 5 DOC.